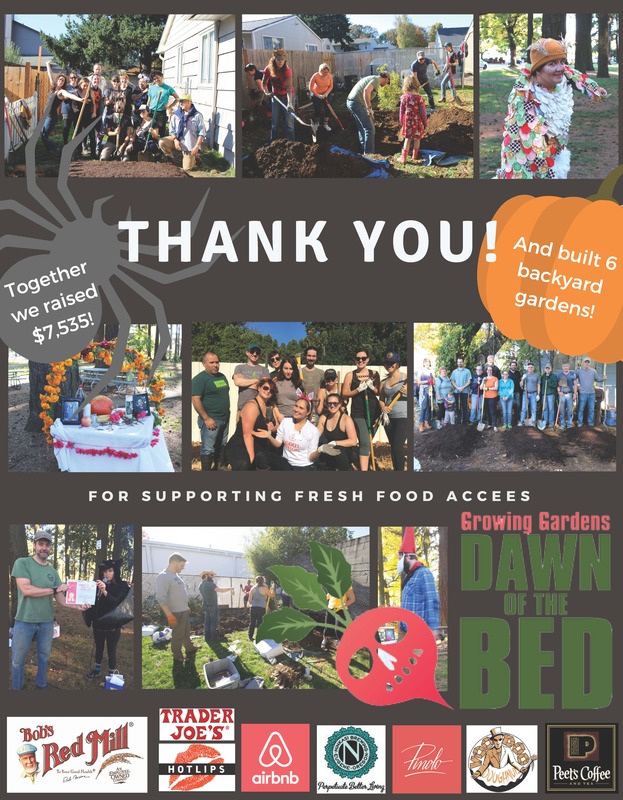 Growing Gardens and Home Gardens would like to thank all of our Dawn of the Bed teams, captains, supports, crew leaders, and participants for this years fall dig-in a success! Over the winter these gardens will remain largely dormant, with the exception of the garlic and cover crop. Next spring we will teach gardening classes, distribute tools, seeds, and plant starts, and offer one-on-one garden mentorship. And the families that have signed up will start producing food! It’s a miraculous thing, to plant a seed and watch it turn into the life-sustaining nourishment that we all need to live. I hope you are all inspired to cultivate your own gardens next year! and build the kind of world we all want to live in – where fresh food is abundant, where diverse communities learn and grow together, and where kids are excited to eat broccoli! We are working on a new project with the Northwest Regional Re-entry Center (NWRRC)/Cully neighborhood!This project will be starting January 2018. Outer Northeast Portland is comprised of many underserved communities; the Cully neighborhood specifically has many groups that will connect through this program. We will focus the efforts with our three programs, Home Gardens, Youth Grow and Lettuce Grow to partner with the Northwest Regional Re-entry Center (NWRRC), the Cully Neighborhood Association and Scott Elementary school to build a community garden which will be a resource for the whole Cully neighborhood. The NWRRC serves as the federal reentry center for people who are transitioning out of the Federal Correctional system. The NWRRC approached Growing Gardens to bring our known community building garden programs to their facility. NWRRC has a significant amount of space for this garden. We envision there to be space for the NWRRC residents to learn how to garden and to provide space for a new Cully Community Garden. The Cully neighborhood was invited to join the program and share the garden space and the education offering. We will connect a Cully Community Organizer from our Home Gardens program to help unite these communities together through urban agriculture and garden-based education workshops. Our Community Organizers strengthen connections among parents, community and school gardens. Next school year we will be starting a multi-year partnership with Scott Elementary school, located in the Cully neighborhood. 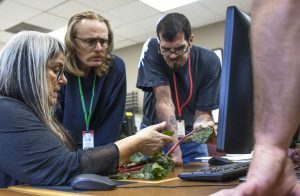 At Columbia River Correctional, in Portland, the last 2 students are completing their Sustainable Gardening Certification Class. The Greenhouse management class will start in Late November. The new Seed to Supper class started Nov 13th. 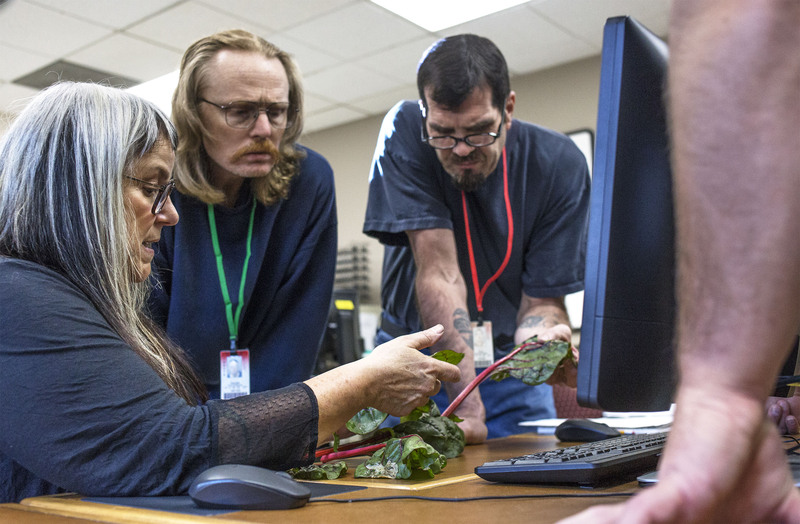 This year for the first time 3 volunteers are taking the class with the inmates. Are you interested in using a school garden to increase hands-on learning for your students? Growing Gardens is forming a regional Professional Learning Community (PLC) for classroom teachers and informal educators to support each other in using school gardens to enhance curriculum and increase student engagement. We are recruiting up to twelve educators to find new ways of working together to use school gardens to meet classroom learning goals and the needs of their students. Graduate credit is available through PSU. The PLC group meets 4 times between January and May. For more information and to register see the Garden Education Professional Learning Community webpage. 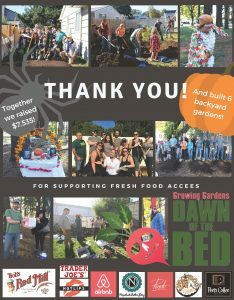 Growing Gardens is very excited to announce that we will be a part of the 2017 Willamette Week Give Guide. Stay tuned about big give days, prizes and more!